It’s time to change your outlook on dry eye. 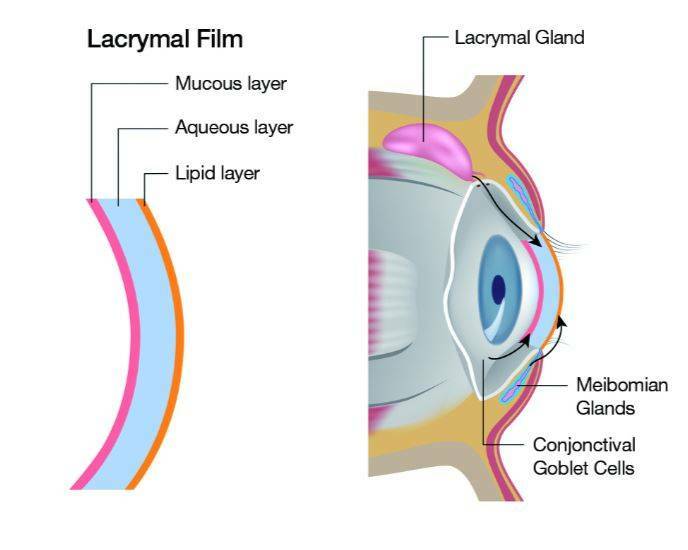 MGD happens when the meibomian glands in the eyelids that create the defensive slick layer of the tear film become blocked. These organs can become blocked over time and when they can no longer create the necessary oils required for solid tears. This blockage brings about fast dissipation of your tears and leads to irritation, discomfort, and if not treated, gland dropout. Your eye doctor will perform several tests to determine if you have MGD. These tests may include a LipiView® tear film and gland imaging test, and a meibomian gland evaluation. Once your doctor understands what is causing your Dry Eye, he or she will be able to determine the best treatment option. Now, with the breakthrough LipiFlow® technology, it’s possible to directly treat the root cause of MGD! LipiFlow ® is a new treatment for dry eye that restores the lipid layer of the tear film, so the tears function better. While there are multiple choices available for treating MGD, LipiFlow is the only FDA-approved treatment for removing gland blockages and restoring gland function. Developed by TearScience, the sterile lid warmer and eyecup apply a combination of heat and pressure to the eyes for less than 15 minutes at a time, under constant monitoring by an eye doctor. The procedure is not painful, and enables the tear glands to secrete good quality tears, and is done in the comfort of your optometrist’s office. 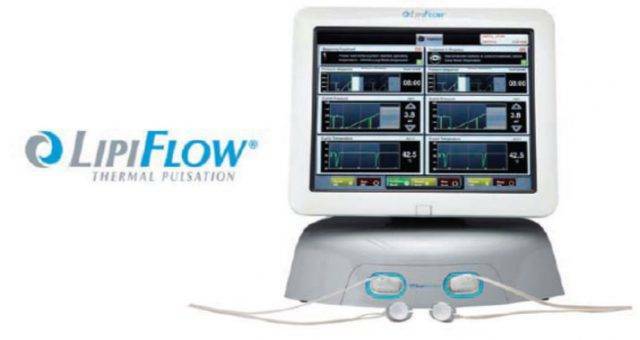 LipiFlow is a new technology which treats Dry Eyes. Before we talk about the Lipiflow, what is Dry Eyes? Dry Eye Disease is a chronic inflammatory condition that can be caused by many factors that are either environmental, immunodeficient, medication related, contact lens related, or digital device caused. The most striking fact about Dry Eye Disease is that the most common type of dry eye is NOT related to the amount of tear production a person produces. Please describe what the LipiFlow is used for and give a basic sense of how it works. The LipiFlow Thermal Pulsation system is used to remove the blockage of oils (meibum) inside the eyelids. This blockage prevents these essential oils from reaching the eye. These oils prevent the water based tear from evaporating. If the oils are not released and are not present, most of the water based tear evaporates leaving very salty tears behind. The salty tears cause a lot of friction with each blink and causes symptoms of redness, foreign body sensation, itchy, watery eyes, swelling, puffiness, and fluctuating vision. Lipiflow is directed for patients who suffer from dry eye caused by Meibomian Gland Dysfunction (MGD). What is MGD? 86% of dry eye disease is caused by meibomian gland dysfunction (MGD). MGD is a chronic condition where the oils inside your eyelids become buttery or pasty in consistency. These oil glands (meibomian glands) will not be able to express this thick, pasty oil. As a result, the water based tear evaporates and causes symptoms of dry eye disease. What is it about this particular technology that you find most exciting; the component that made you feel you need to invest in this for your practice? Dry eye disease has been one of my most challenging eye diseases to treat. I have treated patients with every treatment that I could get my hands on to treat dry eye disease. I have treated patients with Restasis and Xiidra with minimal success. 99% of all over-the-counter lubricants are also not very successful for MGD. I have also treated patients with punctal plugs, scleral contact lenses, steroid eye drops, autologous serum, oral medications, etc… all with limited success. Due to this limited success I needed a treatment that would actually treat the problem. I needed a treatment that would remove all the thick, pasty oil out of the eyelids. The only treatment that I found that would be successful was LipiFlow Thermal Pulsation. Can you describe the patient experience when using the LipiFlow? The patient experience during LipiFlow is not uncomfortable. We place a drop of numbing eye drops so we can improve comfort during this twelve minute treatment. 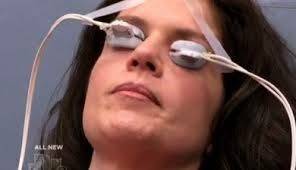 We then place one eye activator on each eyelid. The LipiFlow system warms the activator to a specific temperature to melt the thick, pasty oils. The activator then pulsates and pushes the thick, pasty oils out of the eyelids. The activators are then removed and then the doctor then views the results after the treatment. Most patients think that it was somewhat soothing and some describing it like a spa for their eyes. How does this technology improve Dry Eye treatment compared to the days when we did not have a LipiFlow in the optometry or ophthalmology office? It mechanically treats the problem by warming up the eyelids to an optimal temperature and mechanically pulsates the oils out of the eyelids. This improves dry eye symptoms faster than what I have seen with other treatments that I have performed. To what types of Dry Eye patients do you recommend using the LipiFlow? Since most patients that have dry eye disease have some form of MGD, we are seeing that we recommend LipiFlow to 9 out of 10 patients that have MGD or dry eye symptoms. Can you share a success story about a patient undergoing the Lipiflow? In such a short period of time, I have treated many patients with dry eye disease with our LipiFlow system. I have been treating a very loyal patient for a number of years with minimal success with every treatment available. None of the treatments have been very successful. Her vision was worsening due to cataracts and she was very worried. She was not able to undergo cataract surgery because she had so much eye swelling due to dry eye syndrome. I performed her LipiFlow treatment and her swelling, redness, water eyes improved dramatically. She underwent the cataract surgery and now has 20/20 vision and she is much happier. She is now more active and has a better quality of life. Is there anything else you would like your patient’s to know about Dry Eyes and the LipiFlow technology? To add to our technology, we also added the LipiScan which is fantastic. The LipiScan can actually view the oil glands by performing a picture scan through the eyelid. This helps us evaluate the oil glands (meibomian glands) to see how severe the damage is to these very important structures. Before we perform any LipiFlow treatment, we scan the eyelids with the LipiScan. Both of our offices are now performing the LipiScan viewing system to all our patients for free!